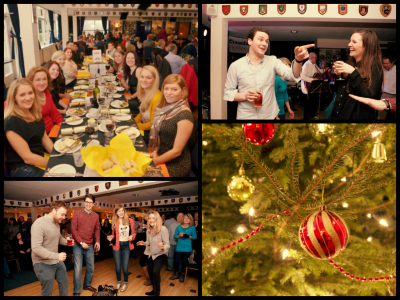 Looking for a Christmas party venue with a fun and relaxed atmosphere, outstanding food and central Richmond location? Set in our friendly and relaxed surroundings, you can enjoy all the trimmings with a traditional Christmas feast and then party the night away to some Christmas classics! Richmond Athletic Ground has 2 bars of varying capacity that sit amongst our 26 acres of green (or white in December!) rugby pitches in the heart of Richmond, London. 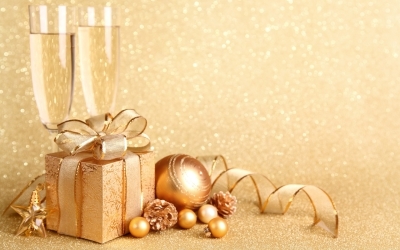 Our unique setting and our sense of affordable luxury make us a one-of-a-kind venue and a welcome change to the usual Christmas Party set up. Our Events team are happy to organise live bands, carol singers or a festive DJ. Our in-house caterers know how to put on a party, and their vast experience in event catering means they’re no strangers to alternative diets or particular taste buds. Whatever you want to treat your guests to this December, the team here will be more than happy to produce a bespoke menu that caters to your every need. Not forgetting, our accommodating bar staff will be on hand to make sure everything washes down nicely and the festive spirit (or spirits if you’re really up for a party!) is well and truly in the air. Email us to events@the-raa.co.uk or contact us here to find out more!